All major service work is carried out by qualified staff, using high quality parts and completed according to the manufacturer’s specifications. Switch and Save with Auto Masters today. After how many kms should I get my oil changed? Everyone has a different idea of how often your vehicle’s oil should be changed and what kind of oil is best for your vehicle. It also depends on your diving habits and conditions. It doesn’t help that opinions and vehicle requirements keep changing with new technology over time. The new rule–and perhaps the one that makes the most sense–is that you consult your vehicle’s manufacturer recommendations. If in doubt, give us a call and we will advise you. Why should I have my car serviced by Auto Masters? 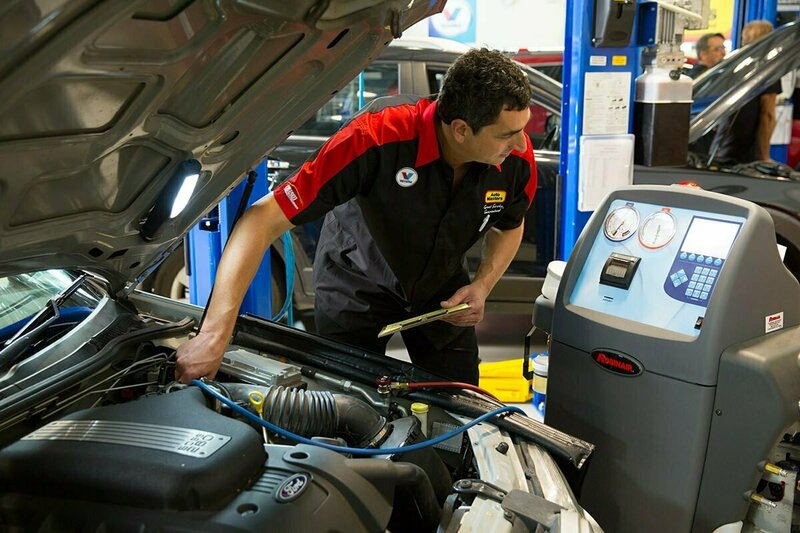 It is important to keep your car maintenance up to date by having it serviced regularly. This not only keeps your car running efficiently, but also helps prevent problems requiring costly repairs. Auto Masters are famous for their quality work and technical expertise, and are able to offer a range of service options to suit your vehicle and your budget. Get in touch to find out more. Do I have to pay on the day of the job and how can I pay? Yes. We’ll need payments to be made at the completion of the job. Will I know how much the car service or car repair will end up or will I get a big surprise? Yes, at Auto Masters, before we commence any work, the mechanic will show you an itemised quote of work required and associated car repair costs – you are always in control of the cost and will not get a nasty surprise. What is included in a standard car service? At Auto Masters we will check your oils and fluids and replace your oil filter and replace engine oil. We will also do a comprehensive 72 point check to test and measure items on your vehicle for safety. You will be provide with a full vehicle condition report. How long does a car service take? The time it takes for your car to get serviced varies depending on the vehicle and amount of repairs it needs, simply find your local Auto Masters and give them a call and they’ll be happy to talk you through the process and give you a more specific timeframe. What is the warranty on your work? All our services and repairs are fully guaranteed – not just a patch up to get you going – take a look at our full car WARRANTY details for all the facts. Knowing when to change your oil is tricky because there isn’t a one-size-fits-all solution. Different cars and engines require different maintenance schedules. It also depends on your diving habits and conditions. The new rule–and perhaps the one that makes the most sense–is that you consult your vehicle’s manufacturer recommendations. If in doubt give your local Auto Masters a call and we will advise you. Why should I bother servicing my car regularly? Avoid the possibility of getting stranded out of reach of roadside support. Engine oil, lubricants and other automotive fluids lose their vital properties over time and this can have a knock-on effect causing damage to other components (all of which are checked and refilled as part of our standard service). Loose drive belts, air-conditioning belts and power steering belts suffer from wear over time and lead to poor operation and sometimes damage leading to unwanted costs. You have a legal obligation to ensure your vehicle is roadworthy. Suspension and steering components dramatically improve the comfort of your ride when maintained properly, plus regular checks and or servicing will prolong their life. Brakes, shock absorbers and wheel alignment must be checked regularly to ensure safety. A well maintained engine will reduce emissions and fuel costs. Maintaining consistency of your services by following your logbook regime is likely to add to the resale value of your vehicle. Will I be shown what will be done to my car when it is serviced? Auto Masters’ highly trained mechanics are more than happy to walk you through the work required to service your car. We will also happily show you any parts that have been replaced during a service, So why not give us a call today to discuss your vehicle needs?